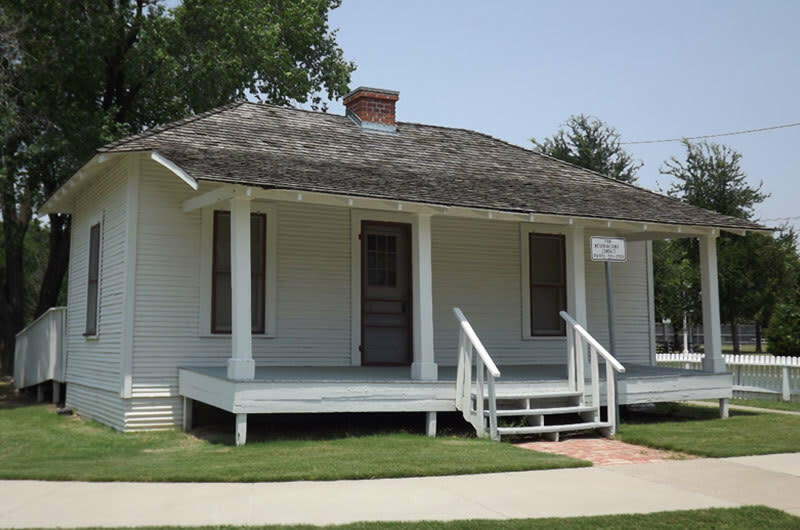 The Bear Creek community in west Irving is one of the oldest African-American communities in Dallas County. During the late 1850s, a mix of free blacks and whites and their slaves began settling along the upper reaches of Bear Creek. After emancipation, former slaves began moving into the area, which developed into a rural African-American enclave during the era of racial segregation. The three museums that comprise the Jackie Townsell Bear Creek Heritage Center tell the history of the Bear Creek community and of the African-American experience from the time of emancipation of the slaves through the Civil Rights movement of the 1950s-60s. Jackie Mae Howard moved to Bear Creek with her family at the age of 13 in 1949. She attended the nearby Sowers Colored School No. 2. In 1952, she married Jimmy Townsell, and together they opened Townsell Grocery in Bear Creek in 1959. During the 1960s, Townsell joined the West Irving Improvement Association and worked for the betterment of living conditions in the Bear Creek community. In 1977, she won a seat on the Irving City Council, where she served for 18 consecutive years.